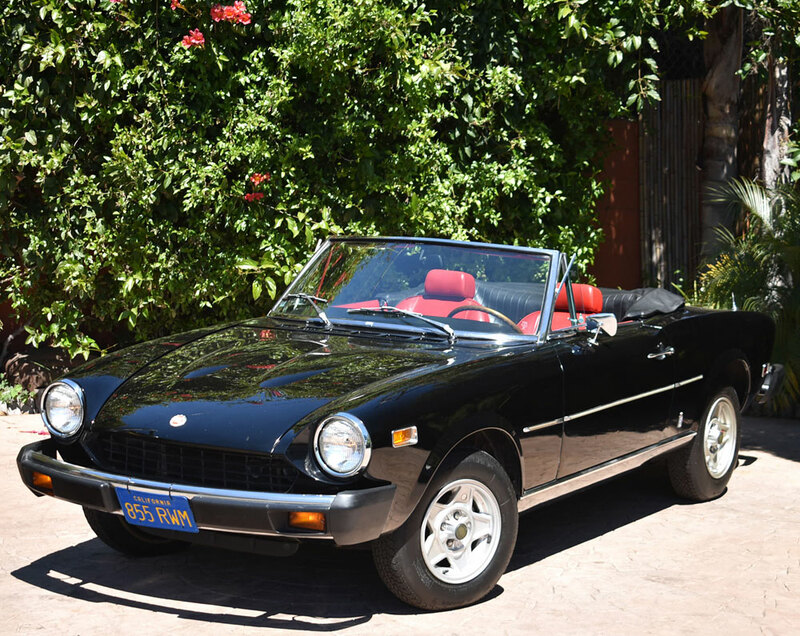 An exceptional 1977 Fiat 124 Spider 1800, now for sale at Californiaclassix.com! A contemporary to the Alfa Romeo Spider, The Fiat Spider shares a great deal of features with its brother from another mother. Both cars are red-blooded Italians with a rev-happy DOHC engine, mated to a short-ratio 5-speed transmission. 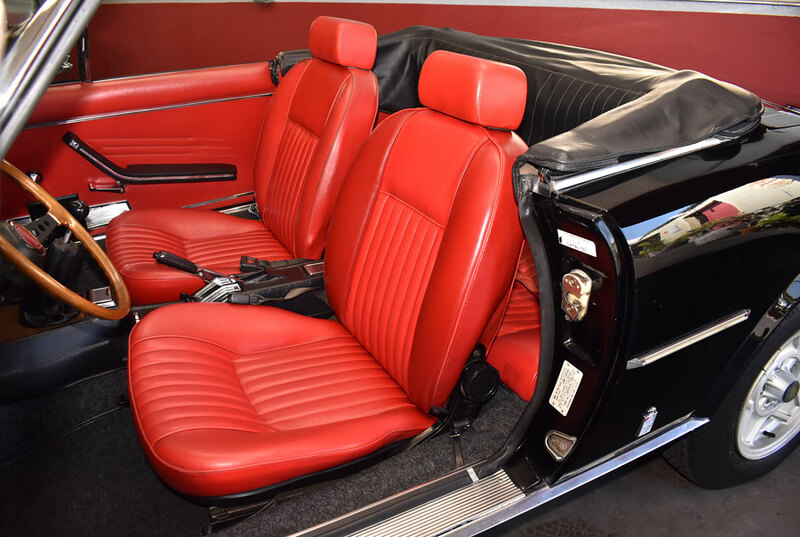 Both cars feature a convertible top that can be lowered by a manicured hand within less than 30 seconds. And both cars have been built for many years and become icons of the automotive world. 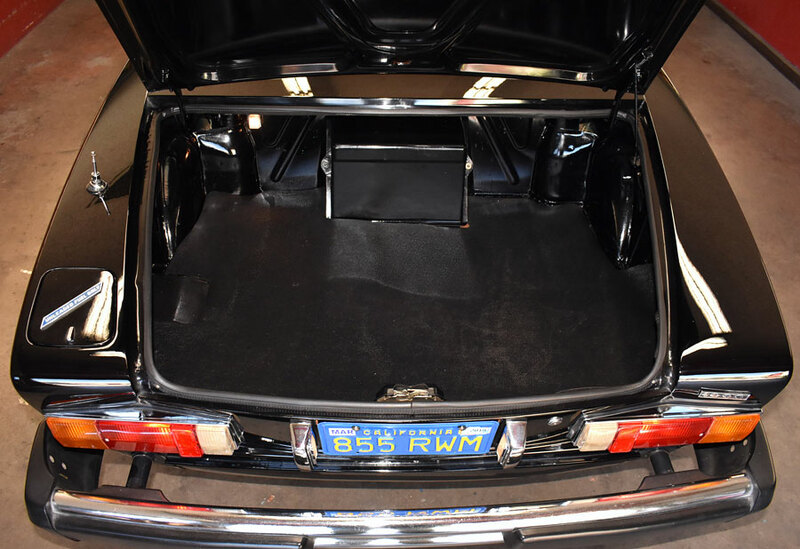 Where the Fiat excels is in interior space, in front as well as in the back, where it outperforms the Alfa by a mile. 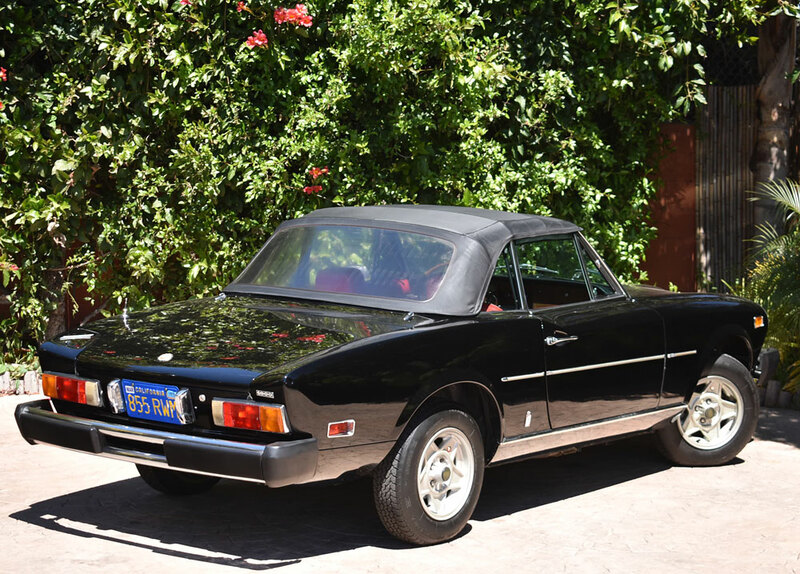 This 1977 Fiat 124 Spider prominently featured here, VIN *124CS1 0117605* is exceptional. 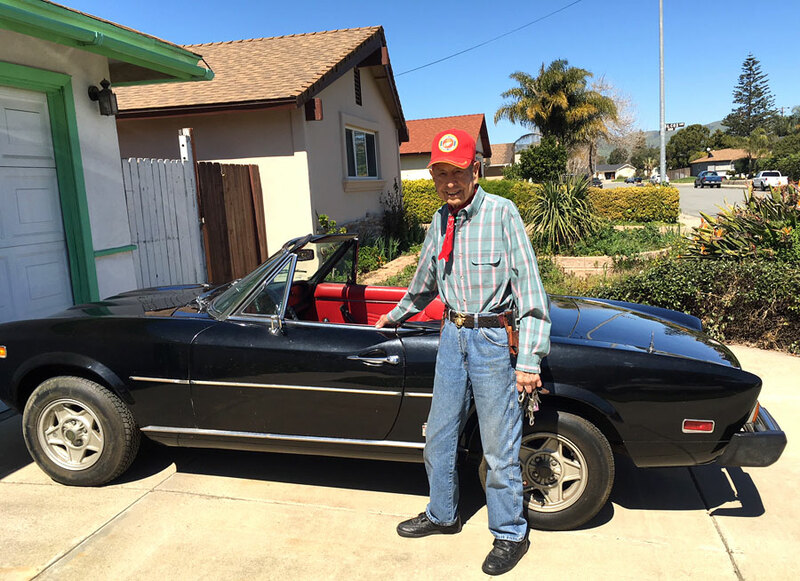 It's a 100% rust and accident free, documented 1-owner California blue-license-plate car that still carries all of its factory original paint, and that's 42 years after it was built. 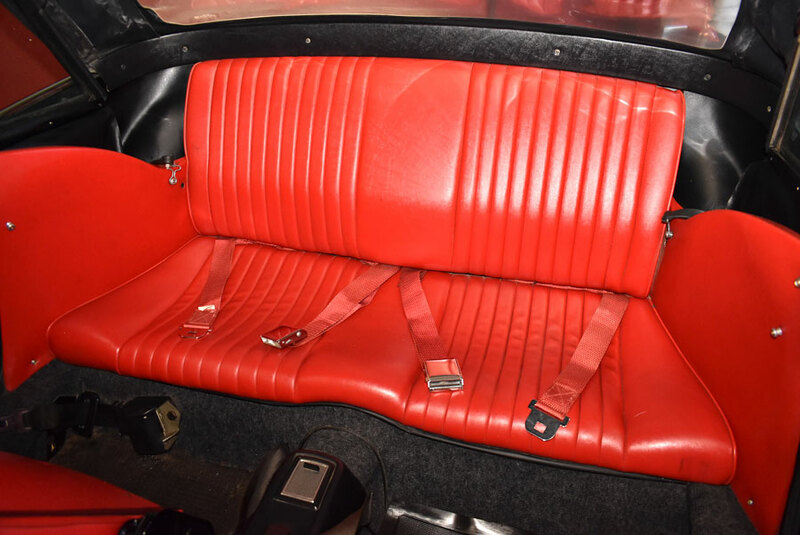 The original owner, now 86 years old, bought this car in late 1977, at the tender age of 44, as a birthday present to himself. He now reluctantly decided to part with it, because his eye sight and reflexes are not what they used top be, so he's hanging up the driving gloves for good. Never been apart, all of the shut lines and gaps are perfect. The factory paint sparkles, with just a few minimal signs of age. 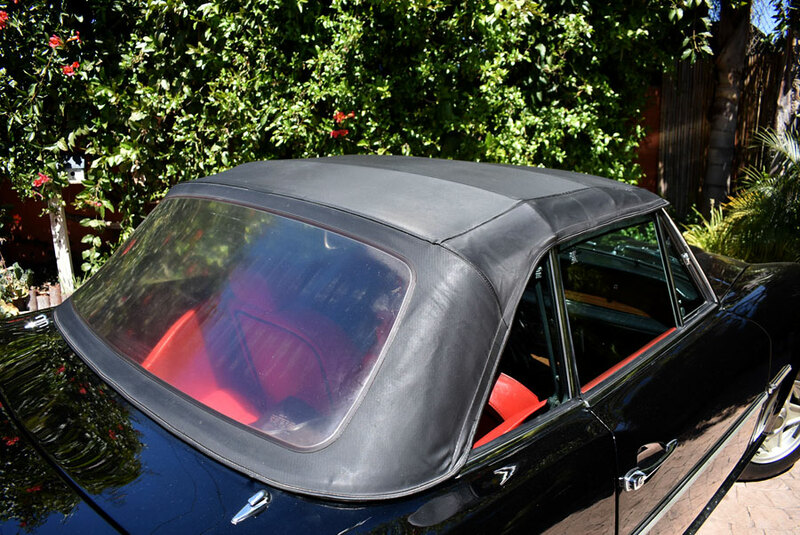 Black vinyl convertible top is in good condition, without any rips or tears. 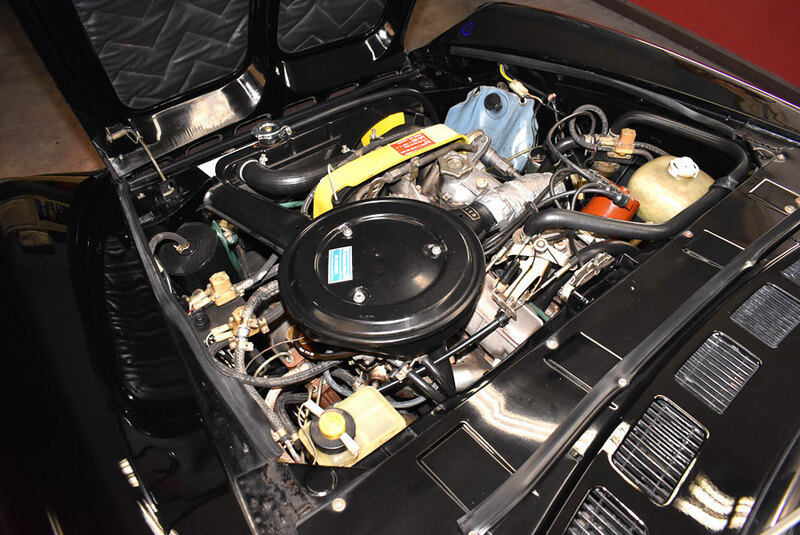 The 1.8-liter inline-4 with double overhead camshafts is healthy as the proverbial ox. There are no fluid leaks of any kind, there's no smoke, nor are there any sounds that would indicate problems. It's as smooth as they come and a joy to rev. 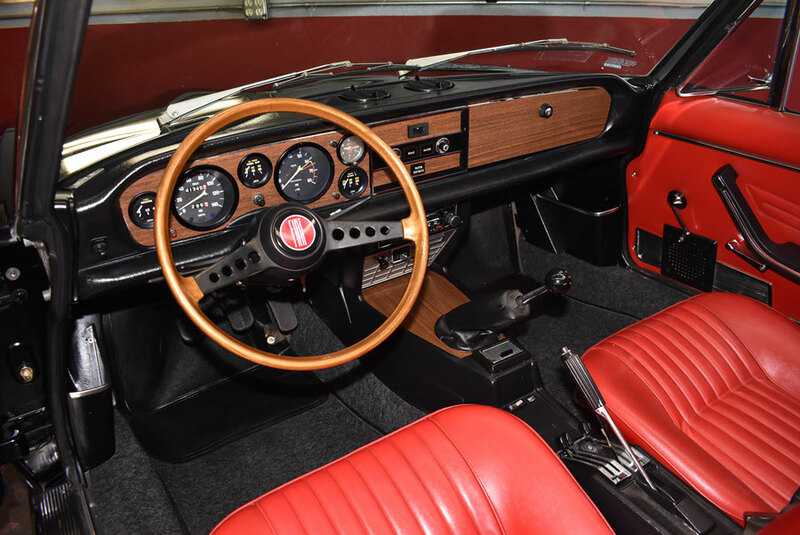 The factory dashboard is flawless, and so is the wood rimmed sport steering wheel. 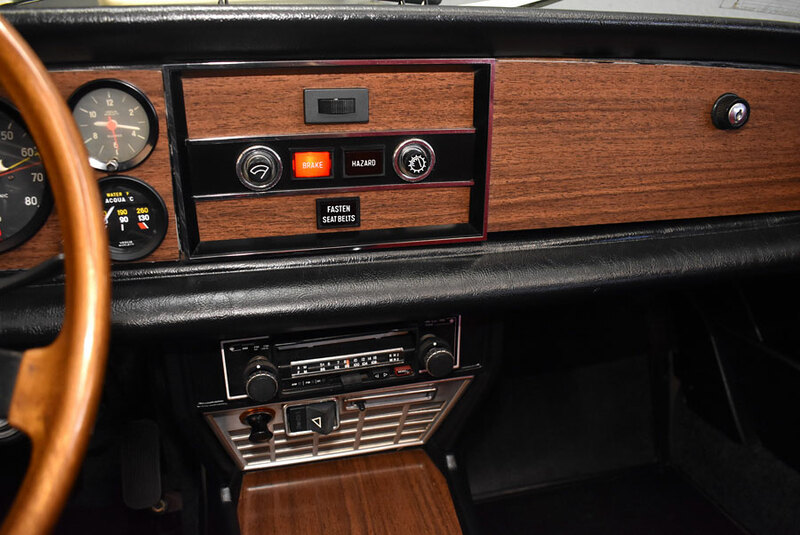 Even the horn button is still crisp without a hint of fading. Clearly, this car has lived most of its life in a climate controlled garage. 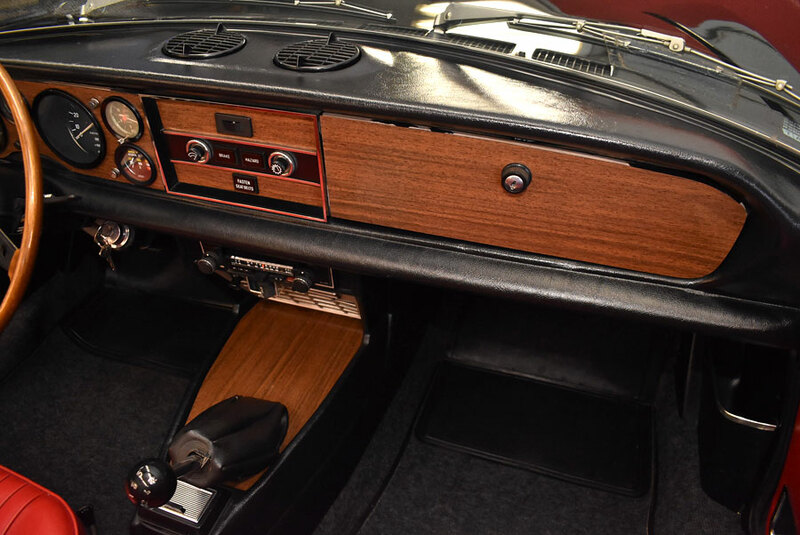 The wood applique is flawless, and the vulnerable dash top, often cracked, is simply perfectly preserved. Almost unreal for a California car. 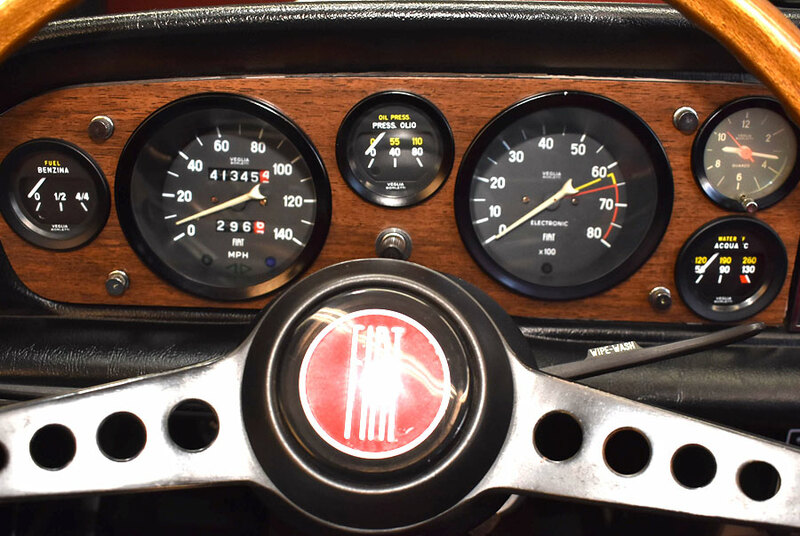 Accoring to the one and only owner, the indicated mileage of 41,345 is the original and total mileage this car has traveled in the past 42 years! 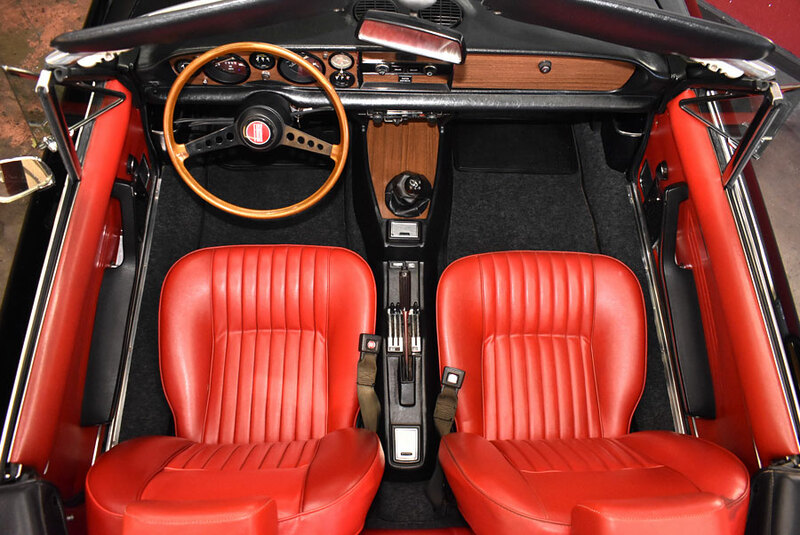 Not a photo from a sales brochure, but a recent shot of this car's interior, in all its amazing beauty. Nero (black) over lipstick red, a dream color-combination! 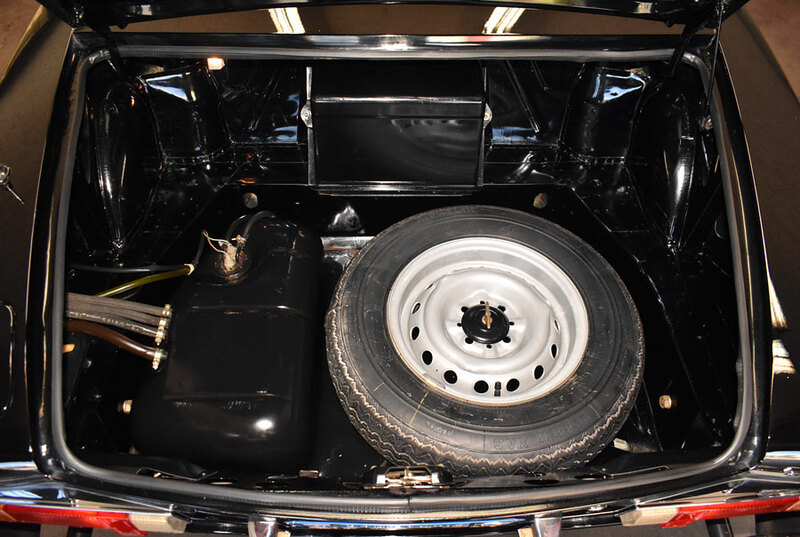 Almost unreal rear space for a sports car that from the outside looks like a pure 2-seater. Take that, Ferrari Mondial! Almost unreal trunk floor. Be assured, it's all factory original here! 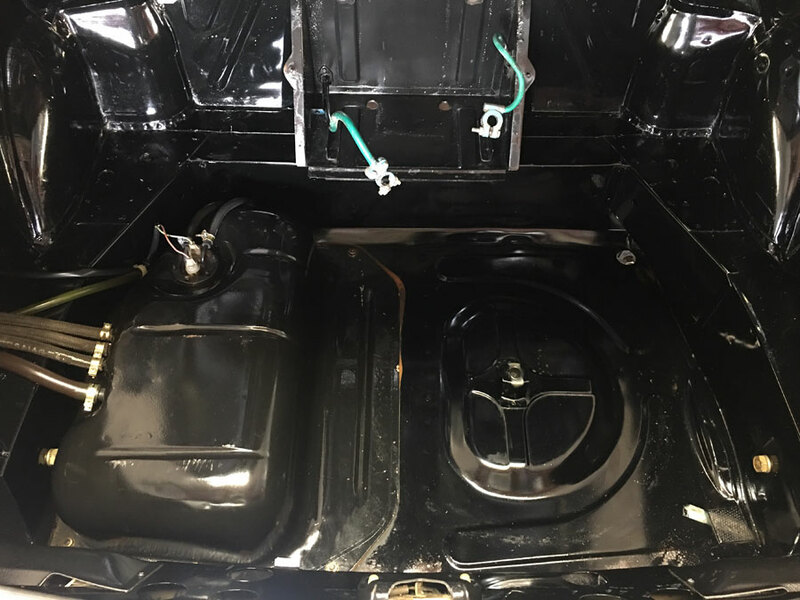 Original paint in trunk look like it's wet, but it isn't. 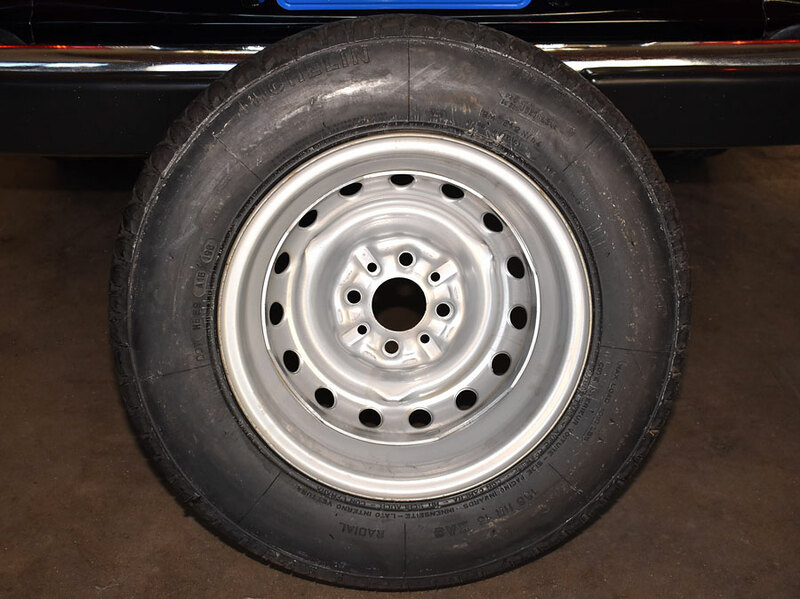 Factory spare with Michelin tire has never been mounted. 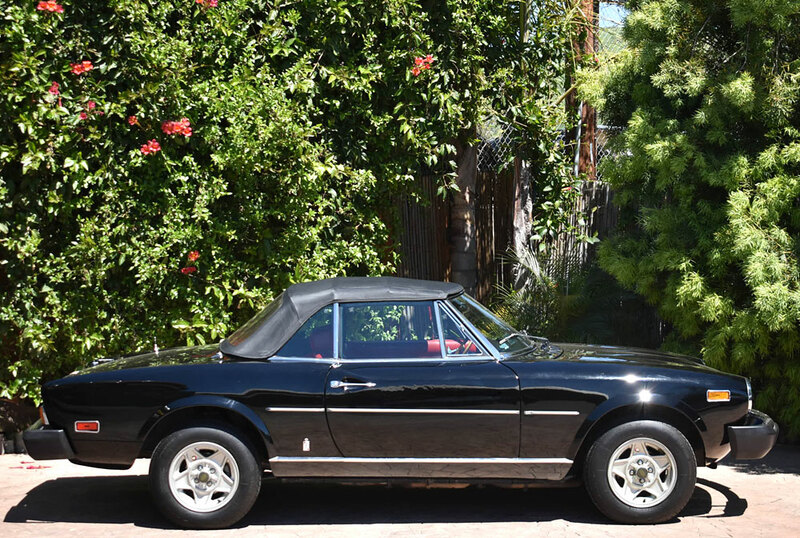 There are many Fiat Spiders out there, but you'll have to search long and hard to find an exeptional one like this. 1 Owner from new, never any rust or accident, all original paint, super low miles, and in need of nothing but a new home. Wow!